Neil Jordan’s latest feature ‘Ondine’, starring Colin Farrell (Intermission, In Bruges), has begun filming on location in Castletownbere, Co. Cork. Irish actors Stephen Rea (The Crying Game, V for Vendetta), Dervla Kirwan (Ballykissangel), IFTA nominated actor Don Wycherley (The Running Mate) and Carrie Crowley (Anner House) have joined the cast. 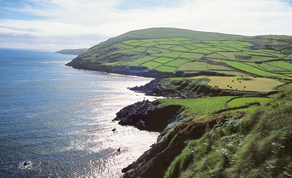 The feature began shooting on 18th July on location in the Beara peninsula, Co Cork and wraps filming on 6th August 2008. ‘Scripted by Neil Jordan, ‘Ondine’ tells the story of a fisherman in southwest Ireland who discovers a woman in his fishing net who he believes to be a mermaid. Mexican-born actress Alicja Bachleda (Stealth, Trade, Comme des Voleurs) takes the lead alongside Farrell, with supporting cast including Oscar- nominated Stephen Rea (Breakfast on Pluto, V for Vendetta), Dervla Kirwan (Ballykissangel, True Dare Kiss), IFTA nominated actor Don Wycherley (The Running Mate, Shrooms), Carrie Crowley (The Running Mate, Anner House) and Alison Barry. DOP on the shoot is award-winning Australian cinematographer Chris Doyle (Hero, In The Mood for Love), with IFTA nominated production designer Anna Rackard (Rough Diamond, Boy Eats Girl) also among the Irish crew. The film is financed by Wayfare Entertainment in association with RTÉ, the Irish Film Board and Section 481. Producers are James Flynn and Wayfare's Ben Browning, with Wayfare's Peter Rawlinson and Michael Maher executive producing.